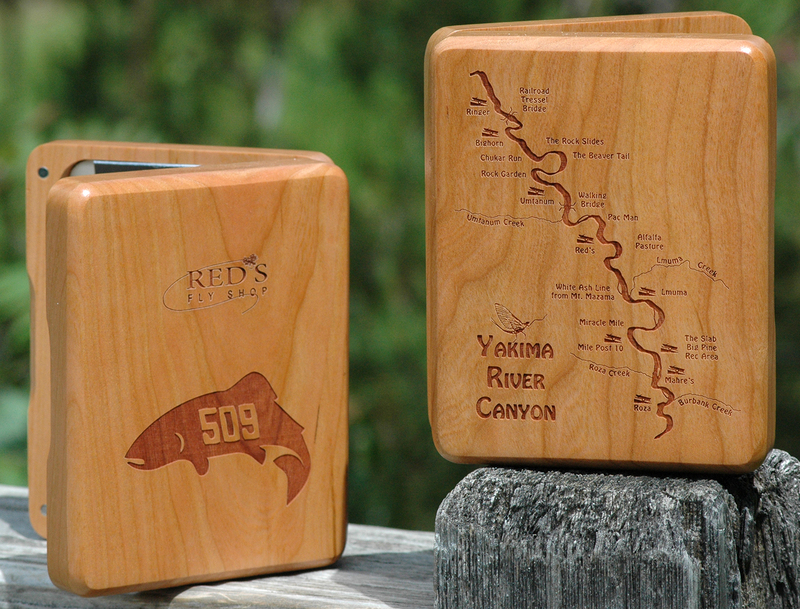 I was approached by a customer back in 2016 that insisted I look into these “Custom Engraved Wooden Fly Boxes.” Normally, I would just agree with the customer (like any “good” retail person should!) and then go about my business. However, this customer was obviously passionate about this product and he wasn’t going to let me get away with the simple, “Okay, I’ll look into it…” because HE wanted one and HE wanted it to have the Yakima River on it! Well, we sell A LOT of fly boxes here at Red’s and the last thing I need is to bring another fly box into the store. That’s how I felt until I saw one of these beautifully crafted pieces of wood. 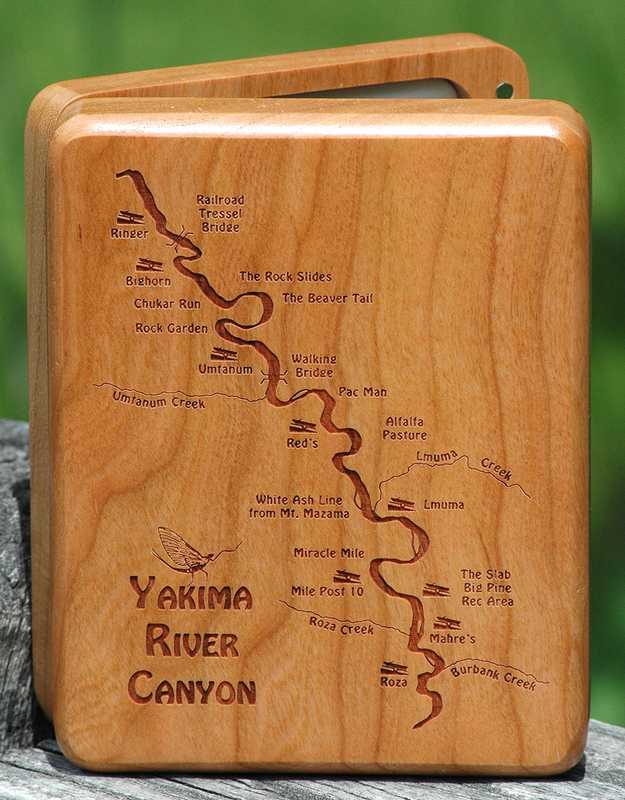 Immediately you see the detail and the craftsmanship, and I could already envision how well our “River Map” of the Yakima Canyon would look on this box. Dan at Stonefly Studio helped guide me through the process of laying out our map & logo, and even took care of vectoring our images to the highest detail. On our web store this gorgeous piece of cherry wood is one of our top sellers during ANY holiday season. They make a wonderful gift for that fisherman that wants to display his or her favorite flies in a unique and tastefully artistic manner. Some guys even take them fishing! Which I think is insane because they are truly beautiful works of art!